Info One year into his second term as Insurance Commissioner, John Garamendi has become one of the most aggressive protectors of consumers in the nation, and he is well on his way to fulfilling his promise to make the Department of Insurance the best consumer protection agency in America. 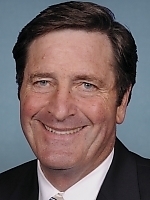 Garamendi, a lifelong rancher, dedicated family man and longtime public servant, has forged a reputation as a fierce defender of consumers and a visionary, effective leader. He possesses the unique wealth of knowledge and experience necessary to tackle the complex challenges of today’s insurance marketplace. Garamendi began his statewide political career in 1974, when he was elected to the State Assembly and served a two-year term. He next won election to the State Senate, where he attained the position of Senate Majority Leader, chaired the Joint Committee on Science and Technology, the Senate Health and Welfare Committee, the Senate Revenue and Taxation Committee, and wrote significant pieces of legislation to protect California’s natural resources and consumers. His laws reformed healthcare delivery, established a work-oriented welfare program, protected Lake Tahoe and Mono Lakes, revised the State’s tax code, and developed an overall State agenda for economic competitiveness and scientific advancement. His ballot proposition also provided $18 billion for mass transportation and highways. In 1991, Garamendi was elected as California’s Insurance Commissioner. He successfully accomplished the monumental task of implementing Proposition 103, which put into place a major reform of the auto and homeowner insurance industry in California. He subsequently delivered nearly $1 billion in rebates to insurance consumers. During this term he also lowered homeowner and auto insurance rates, and created a very successful anti-fraud program within the Department. Under his leadership the Department protected homeowners devastated after the Oakland Hills, Laguna, and Malibu fires, as well as those impacted by the Loma Prieta and Northridge earthquakes. As a direct result of his guidance and vision, the Department earned the reputation among consumer organizations as the best consumer protection agency in the nation. In 1995, President Bill Clinton appointed Garamendi as a Deputy Secretary at the U.S. Department of the Interior, where his efforts led to significant environmental improvements for the nation and California. Garamendi spearheaded efforts that brought about the resolution of water disputes in California. He negotiated the purchase of the Headwaters Forest, coordinated research on global warming, established habitat conservation plans in California, and improved the diversity of the work forces at the National Parks Service, the Bureau of Reclamation, and the U.S. Fish and Wildlife Service. In 1998 Garamendi took a brief hiatus from public service, leaving the Clinton Administration to become a partner in the Yucaipa Companies, a Los Angeles based private investment firm. Since beginning his second term as Insurance Commissioner in 2003, Garamendi has made the reform of California’s workers’ compensation insurance system his top priority and has been working collaboratively with business, labor and the Legislature to accomplish this goal. Commissioner Garamendi’s “The Garamendi Plan for Workers’ Compensation Reform” was the blueprint for the 2003 reforms that will lower costs by $5.5 billion. He continues his leadership with a new plan introduced in the Legislature that bridges the gap between business and workers, and promises even more costs reductions while protecting an injured worker’s right to quality medical care and lost wages. Garamendi is also fighting to relieve homeowners of expensive and onerous insurance company practices with his “Homeowners’ Bill of Rights”, a comprehensive package of legislation and regulatory actions. He has developed aggressive programs to inform and protect seniors from insurance scams, and has redirected his investigations units to focus on workers’ compensation fraud. Born in 1945, Garamendi was raised on his family’s cattle ranch in Mokelumne Hill, California. Garamendi graduated with a Bachelors Degree in business from the University of California at Berkeley, where he was an outstanding scholar-athlete, was second-team All-American offensive guard in football, a two-time member of the All-Pacific Coast Conference team, and the 1964 West Coast heavyweight wrestling champion. He holds an MBA from Harvard Business School. Prior to receiving his MBA from Harvard, Garamendi and his wife Patti began their years of public service together as Peace Corps volunteers in Ethiopia. Patti is currently the Agriculture Specialist for the California Exposition and State Fair, and was previously the Deputy Secretary of California’s Business, Transportation and Housing Agency. In 1993, she was appointed by President Clinton to serve as Associate Director of the Peace Corps and in 1998 as Deputy Administrator in the Department of Agriculture, Foreign Agricultural Service. Garamendi and his wife make their home in Walnut Grove and have six children and nine grandchildren. One of Garamendi’s passions is a commitment to service, not only in California and the U.S., but the world. He led a group of returned Peace Corps volunteers on a Mission for Peace in Ethiopia, Eritrea, and Congo in 1998. His team of five undertook a two-year mission to bring about peace in these strife-torn nations, meeting with Ambassadors, Foreign Ministers, and the leaders of Ethiopia and Eritrea. They also met with President Clinton and top U.S. officials. He is presently the leader of a similar team conducting peace negotiations in the Congo Civil War. 06/02/2020 CA District 03 - Open Primary ?? ?